As part of the capacity-building activities of the United Nations University – ITC School on Disaster Geo-Information Management (UNU-ITC DGIM) the International Institute for Geo-information Science and Earth Observation (ITC) has developed a training package on the application of GIS for multi-hazard risk assessment. The package, called RiskCity comprises a complete suite of exercise descriptions, together with GIS data and presentation materials on the various steps required to collect and analyze relevant spatial data for hazard, vulnerability and risk assessment in an urban environment. The package has been developed in collaboration with several partner organizations on different continents, and is used as the basis for a series of courses. Currently it is available as a distance education course. The world is confronted with a rapidly growing impact of disasters, due to many factors that cause an increase in the vulnerability of society combined with an increase in (hydrometeorological) hazard events related to climate change (Blaikie et al., 1996; IPCC, 2007; EM-DAT, 2009; Munich Re, 2009). The possible impacts of hazardous events are large, especially in developing countries and governments have to incorporate risk reduction strategies in development planning at different levels (UN-ISDR, 2004). The evaluation of the expected losses due to hazardous events requires a spatial analysis, as all components of a risk assessment differ in space and time (Van Westen, 2010). Therefore risk assessment can only be carried out effectively when it is based on extensive, multidisciplinary studies on the basis of spatial information, derived from Remote Sensing and other sources. There is an urgent need to include the concepts of disaster geo-information management into emergency preparedness planning, spatial planning and environmental impact assessment. This requires capacity building and training of disaster management experts and professionals, such as planners, engineers, architects, geographers, environmental specialists, university teachers etc. (Van Westen, 2010). The Hyogo framework of action 2005-2015 of the UN-ISDR indicates risk assessment and education as two of the key areas for the development of action in the coming years (UN-ISDR, 2005). Relatively few training materials are available on multi-hazard risk assessment. A good textbook on the subject is made by Smith and Petley (2009). Online training materials can be obtained for example from the websites of the US Federal Emergency Management Agency (FEMA, 2010a) and Australian Emergency Management Agency (EMA, 2002). There is a very useful guide prepared by FEMA called “Understanding your risks” that guides readers through the various phases of a risk assessment (FEMA, 2010c). The development of innovative forms of learning and teaching oriented towards building new curricula in the field of natural risk has attracted attention in European initiatives such as DEBRIS (2006) and NAHRIS (2006). As far as GIS-related material related to multi-hazard risk assessment is concerned, the HAZUS methodology developed in the US can be considered the standard. This comprehensive loss estimation software which runs under ArcGIS is a very good tool for carrying out loss estimations for earthquakes, flooding and windstorms (FEMA, 2010b), but is restricted to use in the USA, due to constraints in the data and the classifications used for elements at risk and fragility curves. The manuals of Hazus, however, provide a very good overview of the entire process of multi-hazard risk assessment. Courses on the use of HAZUS can be followed online from the ESRI Virtual Campus (ESRI, 2010). Another very promising initiative is the CAPRA project (World Bank, 2010). The Central American Probabilistic Risk Assessment (CAPRA) initiative aims to strengthen the regional capacity for assessing, understanding and communicating disaster risk in Central America. The project has developed tools for multi-hazard probabilistic risk assessment, using Open Source software tools (World Bank, 2010). 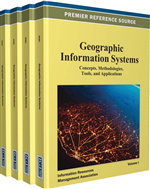 However, complete GIS based training packages on spatial hazard and risk assessment using low-cost or free GIS software are still very scarce, to the knowledge of the authors. One example is a training package in English and Spanish developed for Central America in the framework of the UNESCO RAPCA project (ITC, 2004).